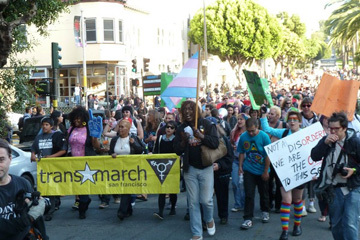 Are you ready for the 9th annual Trans March? You better be because we got a whole lot of big fun, huge celebration and awesome community building waiting just for you! This year’s theme is “Trans Generations: Define Your Moment” and that’s exactly what we want you to do: define your moment! It means lots of things to lots of different folks. What does it mean to you and how are you going to do it? Bustin’ Out 7!! The OFFICIAL Trans March AfterParty! !